We work on the basis of two different assumptions here at Instore Agency – you either know exactly what you want, or you don’t. This is why we’ve chosen to divide our service into two areas. So you know what you’re looking for. That’s great! You’ve come to the right place. We offer a market-leading range of hangers, bags, gift packaging, mannequins, and much more. 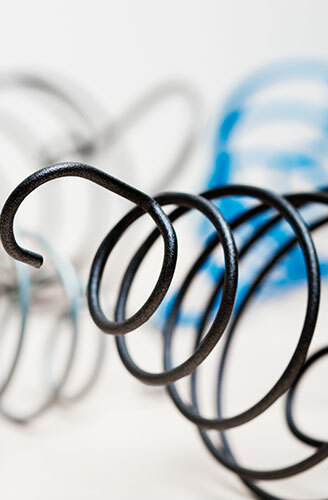 All our products are of a high quality and are competitive when it comes to price. So you want something different, something that’s never been done before? Or you’re unsure of what would work best for your brand? You’ve come to the right place. 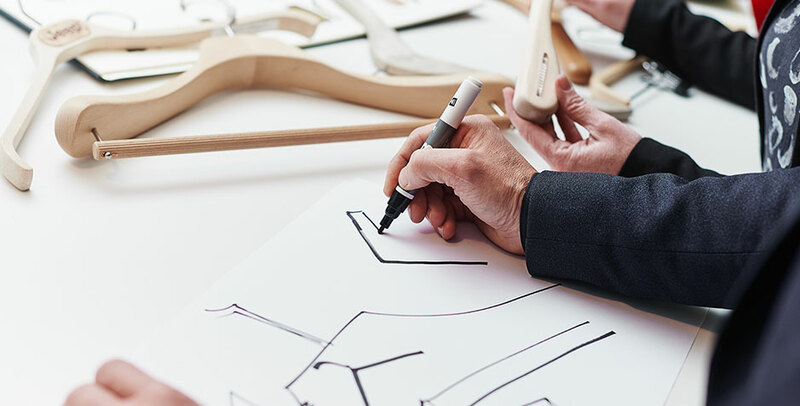 Developing tailored solutions is one of our strengths. We enter into a creative partnership with you. 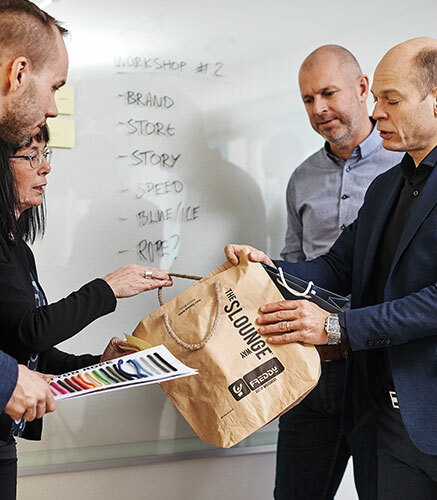 We hold discussions and workshops and visit your stores and marketing department to find out exactly what you’re looking for, be it a hanger, bag, or whole concept. We have the experience, contacts, and innovation to do things that no one else in the industry can. In addition to our extensive product range and a creative partnership, we offer other key advantages. Efficient logistics are an important part of what we offer. Thanks to our wide range of products and global partnerships, we can manufacture and store our products where you manufacture and sell yours. We offer tailored warehousing and transport solutions to meet your specific needs to ensure quick deliveries and efficient service. In this way you minimise the risk of having too much or too little stock. By ordering your hangers from us, you also get access to our global recycling solutions. 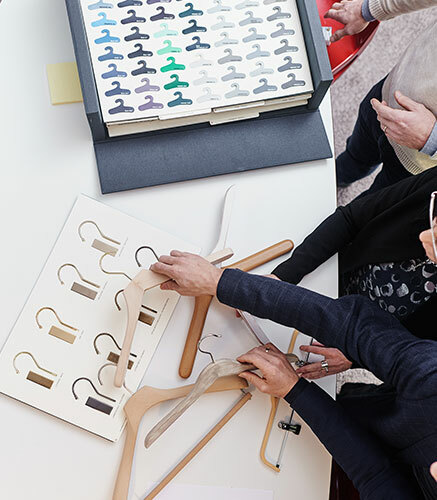 Together we develop an easy-to-use system in which we recycle and reuse hangers, which not only benefits the environment but your business too. This all means that you and your employees can focus on your core business, and your store staff can spend more of their time and energy serving your customers. Instore Agency makes things simple. You deal with all your static store exposure. We deal with the exposure you get from movable items. You have a brand, advertising concept, and store interior. We have hangers, bags, gift packaging, mannequins, and everything else that can be moved both within and outside of your store. We’re in a class of our own. We do much more than just sell products. In us you get a creative partner that can come up with suggestions and innovative solutions to take your store to the next level. This is something we’ve done since the 1950s. And it’s something we love.